Deptford Rotary Club will sell up to 200 numbered lottery balls. At the event balls are placed in a raffle bin…. If you ball/number is pulled from the bin, you are OUT! Every 20th ball wins $100…OR you can re-enter you ball/number to continue in the drawing for the GRAND PRIZE. If your number is pulled do not be discouraged…there will be chances to re-enter the drawing. Three additional chances will be auctioned during breaks. Once we are down to the final five (5) balls remaining, the five will be asked if they want to “split the pot” or continue to win it ALL! All five (5) MUST AGREE to split or the drawing continues. 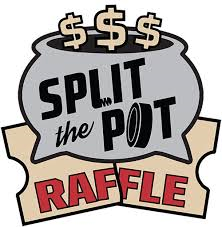 As the drawing continues those remaining will be given the option to split or the drawing continues. If only one person remaining refuses to split, balls/numbers are drawn down to the last…for one final winner!! !